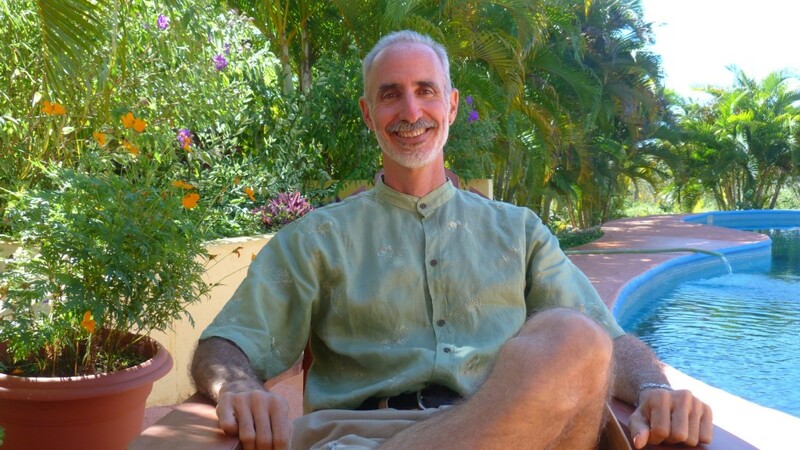 The founder and director of the Tanglewood Wellness Center in Costa Rica, Loren began studying the relationship between nutrition & health in 1977. Since 1997, Loren has led more than 2000 people through water fasts of 1 to 9 weeks, & has coached more than 2000 others to better health. In 1984, Loren contracted chronic fatigue, irritable bowel, candidiasis, sinusitis, & 57 allergies. After a 3 year struggle with medicine, Loren got himself well within 6 months. He’s been a raw vegan since 1991. Now 58, Loren hasn’t been sick a day in 31 years, & can show you how you can eliminate tiredness, lack of mental clarity, poor energy, as well as almost any health challenge. Loren has been a regular columnist for two magazines and has published articles in dozens of others including Get Fresh, Washington Woman, Birth and Beyond, Just Eat an Apple, and Natural Awakenings. He is a frequent guest on radio shows, & has given lectures and seminars in more than a dozen countries and all across the US, including keynote addresses for EarthSave International twice, Friends of Animals, various appearances at the North American Vegetarian Society’s annual conference at the University of Pittsburgh, featured lectures at the International Living Food Festivals, the Living Now Festivals, the Best of Raw 2013, and a sponsored two-week lecture tour of all the campuses of the Naturopathic College of London throughout England, Scotland, and Ireland. He’s an engaging, entertaining and knowledgeable speaker with a passion for helping people maximize their health, vitality, & overall level of functioning. Loren is a nature enthusiast, a Reiki master, a certified permaculture instructor, a poet, the author of a children’s book, a body surfer and beginner board surfer, an animal lover, a motorcycle enthusiast, and the author of the unconditionally-guaranteed Creating Perfect Health System. Loren Lockman is available for media appearances, speaking engagements, seminars, special events, television or radio shows and interviews. Click here to read our Environmental and Ethical Statement.